Don't let the ingredients fool you. This sweet soup drinks like a smoothie, only more refreshing! 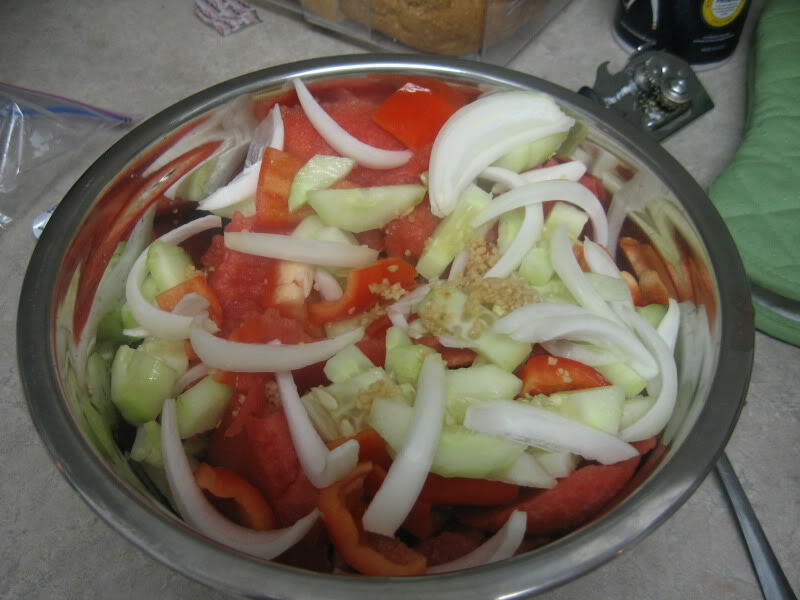 In a blender or food processor, puree the watermelon, cucumber, pepper, shallot, and garlic, pulsing if necessary. Add the olive oil and balsamic vinegar, and pulse once or twice more to blend. Transfer the soup to a pitcher or covered bowl and refrigerate until well-chilled, about 1 to 2 hours. If you will be serving the gazpacho with the garnish, put the chopped cucumbers, peppers, and croutons into separate serving bowls, so guests can add their own garnish to taste. Cover and chill the vegetables until you are ready to serve the soup. 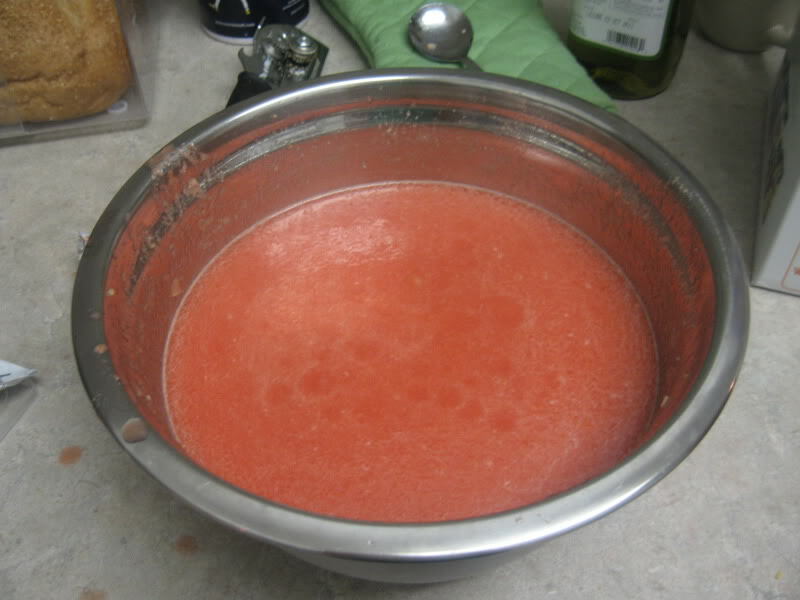 Pour the chilled gazpacho into bowls or cups, and serve with garnish if desired. Enjoy!